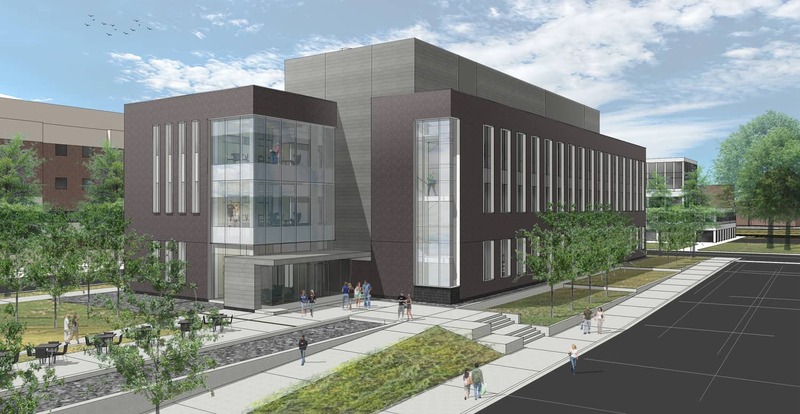 Originally designed to accommodate 300 students, the University of Minnesota-Duluth’s (UMD) 70-year-old chemistry facility now works to serve more than 450 chemistry majors and 5,500 interdisciplinary science students each year. To house the growing program, BWBR worked with UMD to design the new Heikkila Chemistry and Advanced Materials Science (HCAMS) building — a high performance, yet simple, research and learning space that will create a new campus gateway, welcome innovative corporate resources to campus, and send UMD’s chemistry courses into the future. 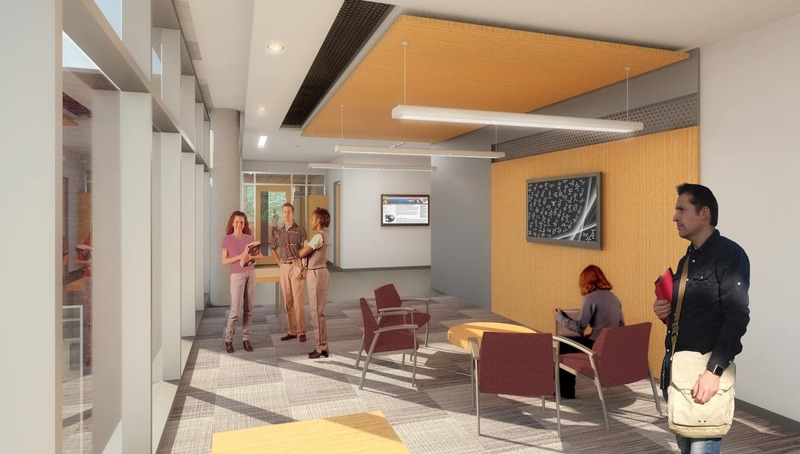 The design builds connections to the campus through vertical rhythms and a complementary materials palette that reflects the regional geology. 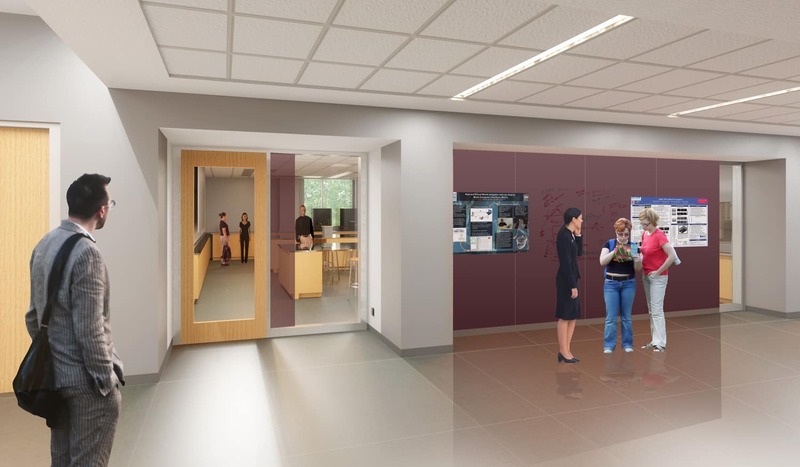 Large areas of transparency mark entry points and showcase the activities and people within the facility. 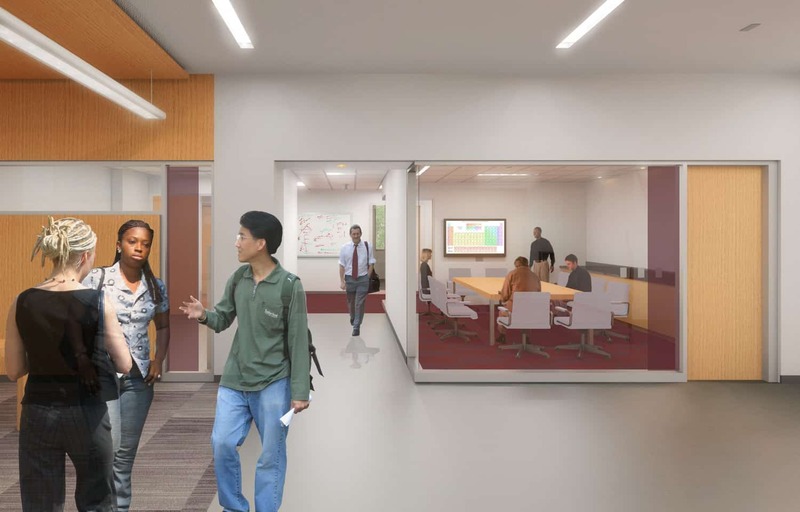 In addition to closer strategic campus proximities, classrooms, research and teaching labs, and offices are all configured in a neighborhood concept that fosters a science community culture. 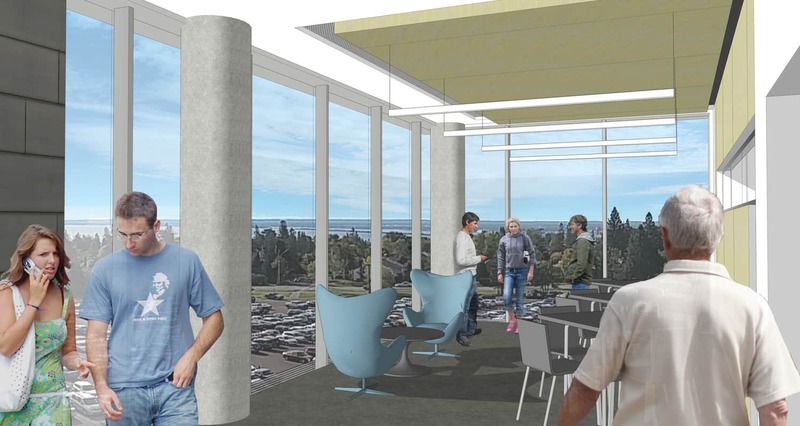 A central circulation corridor and student gathering spaces on both ends of the building encourage casual conversations and cross-discipline collaboration opportunities. 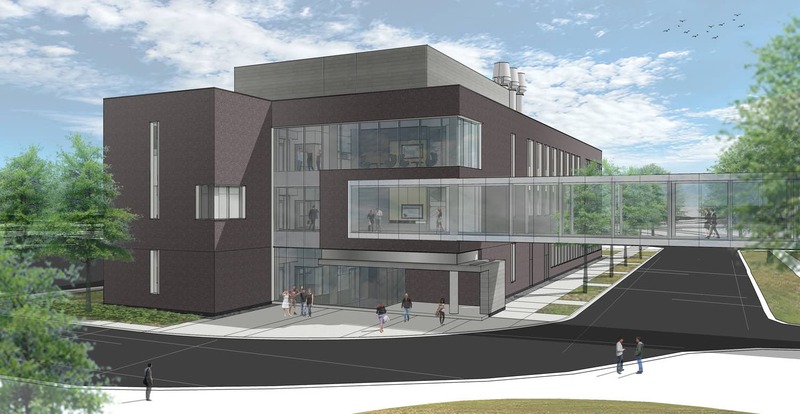 Able to evolve with advances in scientific discovery methods and technologies, the HCAMS building is designed to serve UMD well for the next 65 years and beyond. Size: 56,100 gross sq. ft.